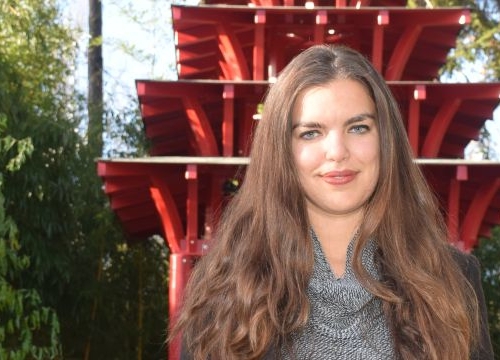 In this interview, Martina Salini, currently enrolled in our LLM in International Humanitarian Law and Human Rights, tells us about the programme, teaching, life in Geneva and what she plans to do after. My name is Martina, I was born in Rome, Italy. Before studying at the Geneva Academy, I completed my Master in Law at Bocconi University in Milan and I worked as an intern at the Territorial Commission for the Recognition of International Protection in Milan and at the Italian Mission to the United Nations in Geneva. 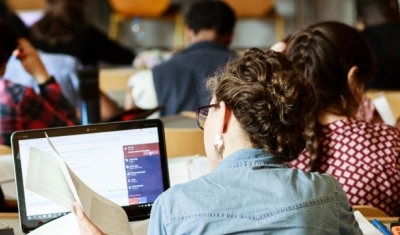 Why did you choose the LLM at the Geneva Academy? My strong passion and interest for human rights and international humanitarian law brought me to apply to the LLM at the Geneva Academy. 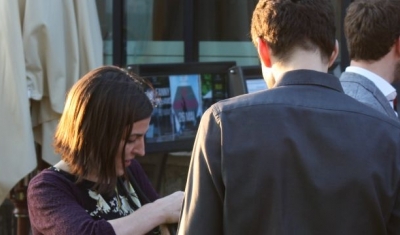 The countless curricular and extra-curricular activities offered fascinated me since the first time I came across the presentation of the programme on the Geneva Academy’s website. After nearly four months here, I am sure that I couldn’t have chosen a programme which most suits me. What are you particularly enjoying about your studies?  The Geneva Academy is the perfect place to study human rights and international humanitarian law. Besides being dynamic and extremely challenging, what makes this programme particularly interesting is the fact that we are dealing, on a daily basis, with the most relevant contemporary issues. All this surrounded by students, experts and academics coming from very different backgrounds, whose strong passion and motivation incredibly enrich the daily discussion. We have the privilege to have some of the best professors and leading experts in the world. The knowledge and passion demonstrated in the lectures is priceless. The classes are extremely interactive. It is definitely hard not to be affected by the professors and teaching assistant’s constant enthusiasm. After the LLM, I am planning to look for a job here in Geneva. I am aware that the labour market is extremely competitive but I am confident that the Geneva Academy will prepare us in the best possible way. How is life in Geneva? 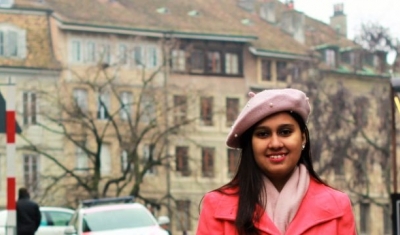 Before starting the LLM, I have already lived in Geneva for seven months. I felt in love with this international elegant city shortly after arriving and it is also for this reason that I have decided to come back. Geneva is a city of countless surprises, where everyone can feel at home. Why did you choose to be photographed in front of Japanese Pagoda in the Jardin Botanique? This place is one of the many secret wonders of Geneva. It is located in the middle of the botanical gardens in the UN area. It is one of the best places to take a break from the dynamic and intense rhythm of the LLM.